NBA Live’s flaccid return is made all the more disappointing because we waited three years for it. After all that time, NBA Live 14 in no way advances the basketball sim genre and, worse, leaves little to be optimistic about for next year. Here’s hoping EA figures something out, otherwise this series’ comeback is going to be short-lived. In its return, NBA Live 14 helps kick off what there is to come for next-gen gaming, but as a representation for sports brands, it’s not the best outing. Live has authentic sights and sounds, game mode options, and specific licensing, but the underlying structure is lacking. ...Luckily, there is major competition out there to make sure NBA Live adapts to its surroundings, and I hope it can regain its crown as the go-to game of its genre. I suppose there are some positives worth lauding in NBA Live 14. ...well-implemented and seems to be getting updated very quickly. 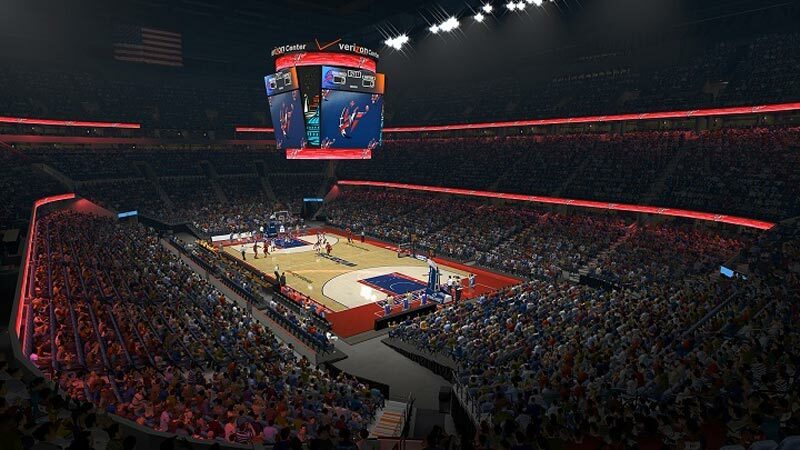 ...Yes, EA is making basketball games again, and perhaps that's a good thing, given that competition generally pushes developers to do more interesting things than they would otherwise. But if NBA Live 14 is any indication, it's going to be a long time before 2K Sports needs to acknowledge, let alone worry about, what EA's up to. The core gameplay can be fun, and hopefully a series of updates will smooth out the kinks and improve the overall experience on the court. 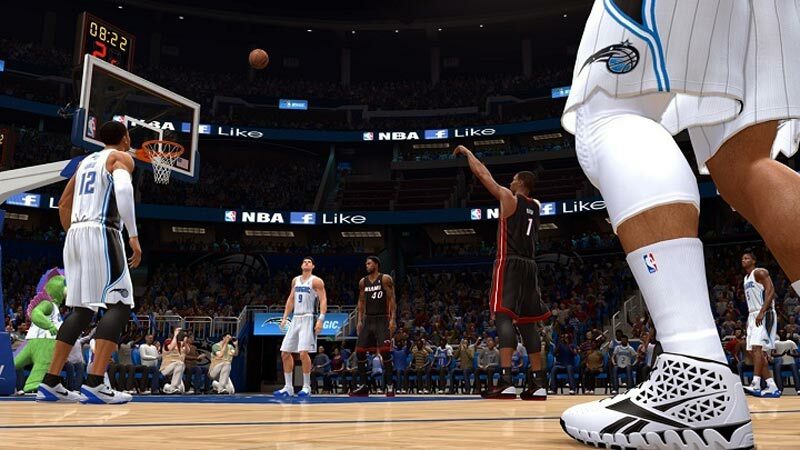 ...As an NBA platform, Live makes a welcome return and takes advantage of what the next-generation consoles are offering. As a game, it's got some serious problems. EA has an opportunity to re-establish itself in the space after a series of unfortunate events have plagued the series in the past. Here’s hoping it makes good on that. Despite the myriad issues on and off the court, NBA Live has fantastic integration with the events of the actual league. ...Sadly, even re-creating events from the NBA season is just a tease because the act of playing is so far from what real basketball should be. The on-court action is so sloppy and unsatisfying that even rubbing defeat in Carmelo Anthony's face loses its appeal. NBA Live needs serious work in just about every aspect in order to raise its game to a respectable level. NBA Live 14 isn’t a broken or unplayable game, it’s just not in the same league as the 2K series yet. There is a lot of potential, and I can see this franchise playing catch-up and creating a comparable game in the next year or two, but it does have a ways to go. Maybe think of it as a sophomore in college that needs to learn the skills to make it in the NBA. He had a great high school career, but isn’t quite ready for the jump to the NBA. NBA Live 14 feels unfinished and, when compared to its only competition, NBA 2K14, is an unappealing retail product nowhere near deserving of your time or money. ...EA has a lot of work to do, and it already knows that. NBA Live 14 is a bungled attempt to produce a viable basketball simulation, and its failures are likely to linger in the minds of players for years to come. Let's just hope EA doesn't forget this flub as it attempts to move forward with its next game. NBA Live 14 doesn’t drop the ball entirely, as the aforementioned arcade mechanics can make for some tolerable head-to-head matches in multiplayer, where the artificial intelligence is less of an issue. However, unavoidable comparisons to the infinitely superior NBA 2K14 make this look like a bit of a mess. The gameplay’s poor, the modes are predictable and shallow, and it’s aesthetically extremely underwhelming. Don’t even consider giving this a shot unless you find it very, very cheap. NBA Live 14 isn’t awful. Faint praise, to be sure, but with the way the internet has erupted the past few weeks, one would think that this is the Fighter Within of sports games. 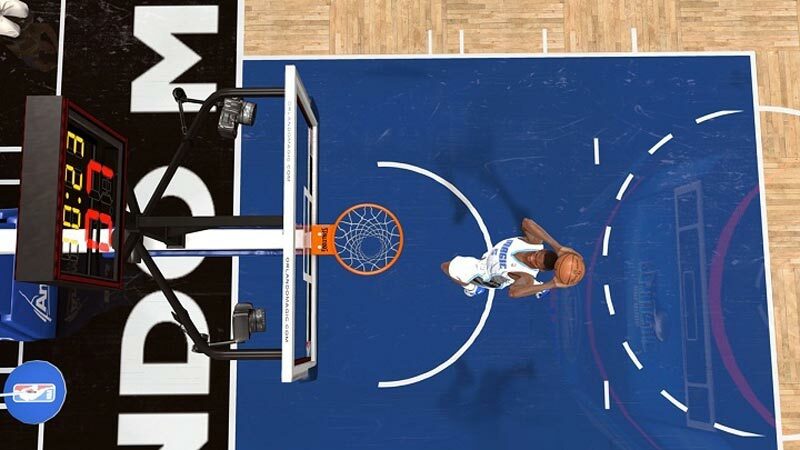 NBA Live 14 looks and plays fine, but unfortunately that simply doesn’t cut it with a next-gen launch title. ...EA has promised that they will remedy many of the predominately visual issues that plague it, but until that or a drastic price drop occurs, there’s simply no reason to own NBA Live 14 with NBA 2K14 in existence. 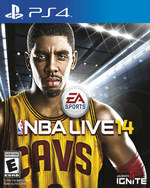 The problem is justifying an NBA Live 14 purchase when NBA 2K14 is on store shelves. 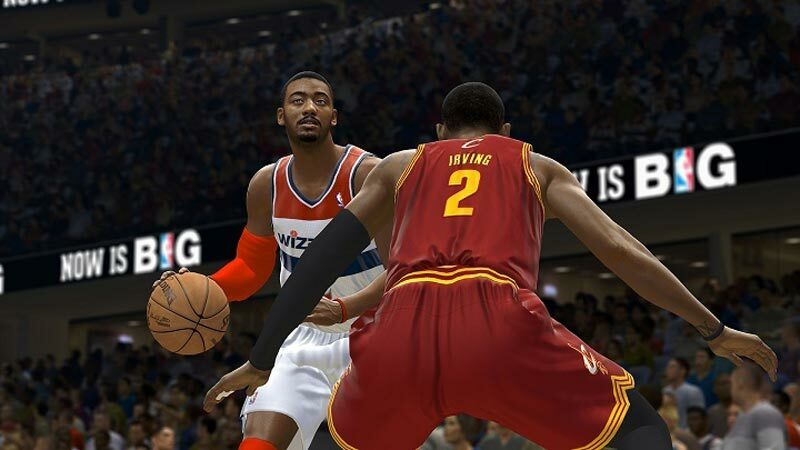 As a newbie, I had fun with NBA 2k14, but I didn’t have nearly as much fun with NBA Live 14. ...It’s a good foundation for a franchise that could prosper in the future--after all, I’ve been saying that sports games should use live updating stats via the Internet for years now--but at this very moment, it just pales in comparison to its competition. Clunky, imprecise defensive controls. Rising Star gameplay feels restrictive. Has insatiable hunger for update downloads. Some modes feel more like micromanagement than actual gameplay. NBA Live 14 delivers an unambitious, sporadically exciting basketball simulation held back by its slavish adherence to replicating the televised game. El problema es que lo ha hecho con una entrega que deja bastante que desear en muchas áreas fundamentales del juego, siendo un título al que le falta trabajo y refinamiento. Pide a gritos ciertas mejoras jugables evidentes que, por lo que parece, llegarán en breve en forma de parches. Mentiríamos si no afirmáramos que esperábamos más de esta nueva edición de la renovada saga de simuladores de baloncesto.... el sobresaliente NBA 2K14. 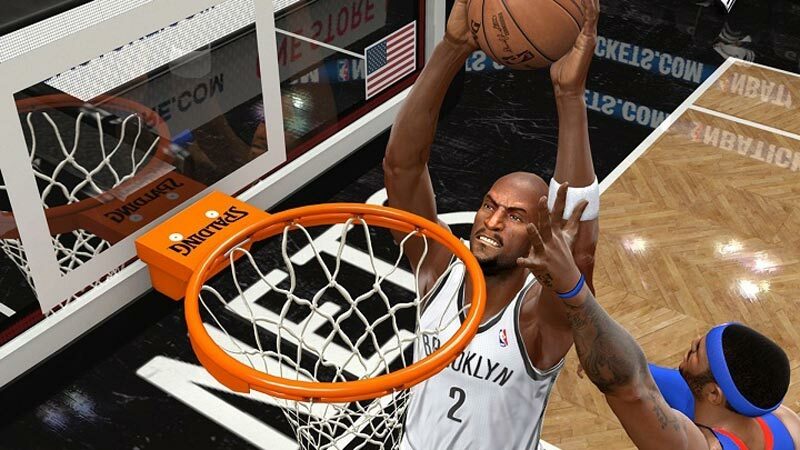 NBA Live 14 no debería haber salido. La reutilización de material deshechado de Live Elite 11 y los demás intentos de estos cuatro años ha pasado factura a EA Sports con esta entrega insatisfactoria totalmente en máquinas de nueva generación como son Xbox One y PlayStation 4. Tiene ideas y asuntos prometedores para los capítulos venideros -si se decide continuar, que seguro-, también una buena variedad de modos o algunos comandos que siguen siendo eficaces y divertidos, recogidos directamente de FIFA. Pour que le producteur de NBA LIVE 14 se sente obligé de poster un message d’excuses sur le site officiel du jeu, c'est la preuve formelle qu’il n’y a pas grand-chose à sauver du naufrage dont a été victime le jeu. Avec ses graphismes à la ramasse qui n’ont évidemment rien de next gen’, une physique du ballon qui défie les lois de la gravité, une I.A. quasi inexistante et un système de jeu qui ne favorise en rien le jeu d’équipe, NBA LIVE 14 est ce qu’on peut appeler un accident industriel. On n'avait pas vu un jeu de sport autant à la ramasse depuis bien longtemps. Les faits sont là, quasiment rien à sauver du naufrage NBA Live 14, même pas les commentaires, alors que le partenariat avec ESPN laissait entrevoir une lueur au fond du cachot. ... A se demander à quoi ont servi les retards et les annulations des projets précédents ces dernières années. Seul motif d'espoir : EA Sports avait commencé la génération précédente avec un FIFA tout aussi raté ; on sait ce qu'il est advenu. Quelle déception ! Après nous avoir fait patienter pendant plus de 5 ans, la série NBA Live nous revient en petite forme avec un opus entaché par un gameplay archaïque, des soucis d'IA, des animations d'un autre âge, des modes de jeu peu profonds, etc. Tout n'est pas à jeter, à commencer par la possibilité de revivre les meilleurs moments de chaque journée, mais cela n'est malheureusement pas suffisant pour en faire un sérieux concurrent d'un NBA 2K qui reste donc la référence.